Clark Rundell (conductor); Anke Maria Lauwers, Eva Vennekens, Madylin Goodwin (flute); Ine Nuyttens, Kasper Baele (hobo); Geert Baeckelandt (clarinet); Wayne Shorter (saxophone); Yf Bourry (horn); Christophe Pochet, David Makhmudov, Dirk Uten, Ernst Spyckerelle, Gideon Nelissen, Julien Poli, Laurence Luxen, Pieter Decolvenaer, Saartje de Muynck (violin); Helena Raeymakers, Manon Vervaet, Marc Claes (alt viola); Aleksandra Lelek, Frederika Mareels, Jolien Deley (cello); Danilo Pérez (piano); John Patitucci (bass); Bram Decroix, Olivier Garnier (contrabass); Brian Blade (drums). What do titles like Pegasus, Prometheus Unbound and The Three Marias suggest? Probably something mythological and that is indeed the intention. Wayne Shorter (1933) recently released his new album Emanon, a prestigious project on which he worked with his quartet and a symphony orchestra. The latter role will be fulfilled by the Flemish orchestra Casco Philharmonic when saxophonist Shorter performs at North Sea Jazz. 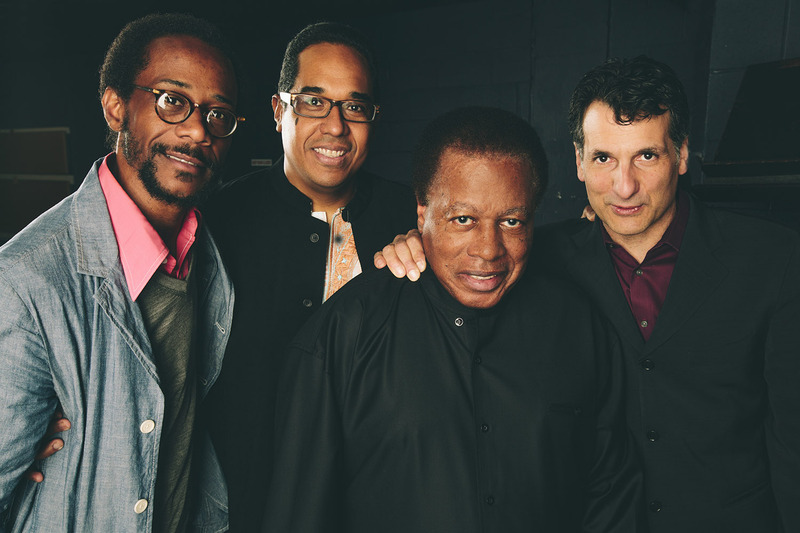 Since 2001, he has toured with his faithful lineup of pianist Danilo Pérez, bassist John Patitucci and drummer Brian Blade, receiving only high praise for his playing and skills as a composer. The pivotal year in Shorter's career was 1964 when the saxophonist convincingly added his unique sound to Miles Davis's famous quintet. Shorter provided three pieces for the exhilarating record Miles Smiles (1966) and two of them have become classics: Orbits and Footprints. Shorter left Miles in 1970 and formed his own group with Joe Zawinul: Weather Report. This legendary formation made a clear choice to play jazz-rock-R&B fusion.